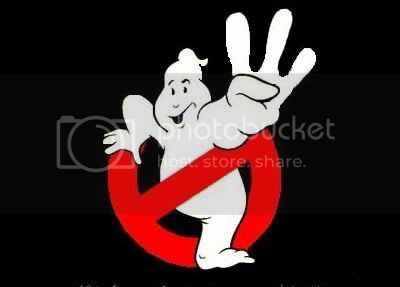 Never say never: Ghostbusters 3 is a go!!!! Rumors of a new Ghostbusters movie have been emerging continuously for years and years, but were always squashed mainly because one castmember or another wasn’t interested (*cough*Bill Murray*cough*). At one point, the film was going to be CGI, at another it was going to feature a new team of ghost hunters… Until finally it was declared the forthcoming Ghostbusters: The Video Game would essentially be Ghostbusters 3. But just when all hope seemed lost, things are finally moving ahead! Sony Pictures has hired screenwriting duo Gene Stupnitsky and Lee Eisenberg (10 episodes of NBC’s The Office) to pen a new sequel featuring the original cast and also introducing new busters. What’s more Ivan Reitman, director of the first two films is involved with the project and while none of the original cast have signed on yet, Dan Aykroyd, Harold Ramis and Ernie Hudson have all expressed interest in the past. In fact, just a couple of days ago Aykroyd was talking about how he’d like Judd Apatow (as producer or director?) and Seth Rogen (Pineapple Express) to participate in the film. So basically, the only wild card is Bill Murray. But the real question is, will Dan Aykroyd slim down like he did for Blues Brothers 2000? Is that even possible? This entry was posted in American Films, Sequels and tagged Bill Murray, Blues Brothers 2000, Dan Aykroyd, Ernie Hudson, Gene Stupnitsky, Ghostbusters, Ghostbusters 3, Ghostbusters: The Video Game, Harold Ramis, Ivan Reitman, Judd Apatow, Lee Eisenberg, NBC, Pineapple Express, Seth Rogen, Sony Pictures, The Office by Mr Hollywood. Bookmark the permalink.